Its that time of the year again when I contemplate our garden situation or lack of. We live in a small terraced property so our only source of foliage comes in the forms of hanging baskets and plant pots. 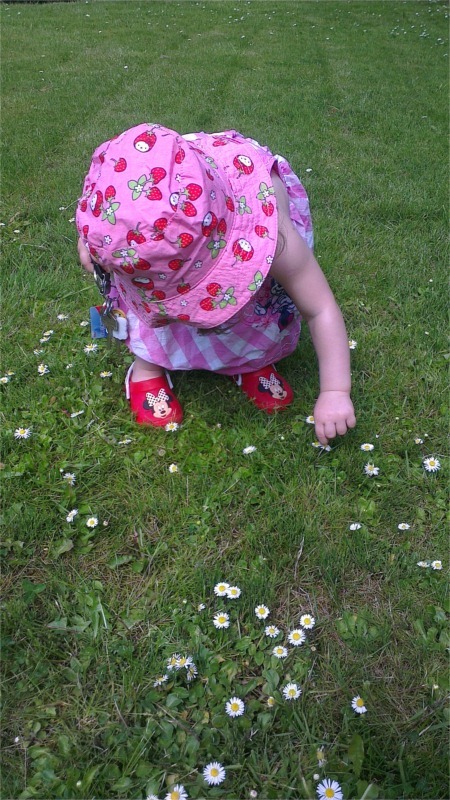 Isabelle loves spending time outside but our garden size means that we have to take her to nanas house to play in her garden. 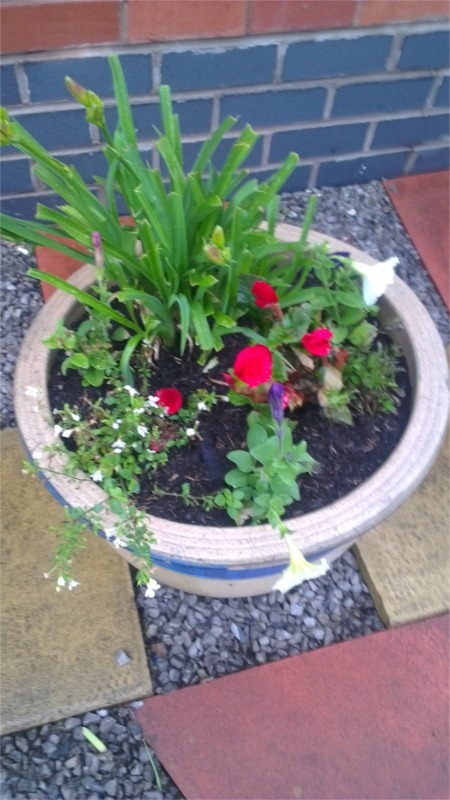 When we first moved into the property our lovely neighbour kindly made up a basket for us and planted some lovely plants in our pots ready for the summer. 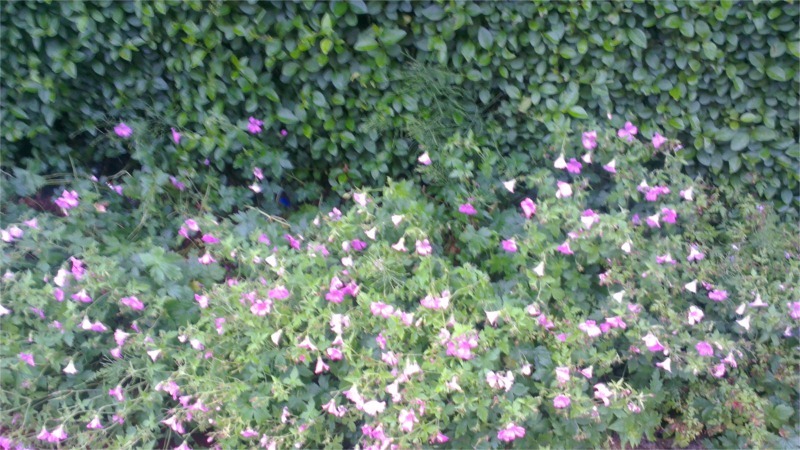 They bloomed lovely and needed very little attention which is just what we needed. Each spring we would add a little more to them and to replace the plants that would only flower once. That was until last year when we neglected our pots and the plants died with the exception of one little evergreen tree, even the ivy which was a feature of our large pot did not make it. Our hanging basket and pots looked rather sorry for themselves so this year at the start of spring when they started to show signs of life, most likely weeds I vowed to make an effort and have pots of blooming flowers once again. I even toyed with the idea of growing my own. This seemed a little adventurous but how hard could it be? With all the useful information available to me on websites I couldn’t possibly go wrong. I could prove to the Mr that I did in fact have green figures. I had purchased a couple of packs of seeds and a seed tray from our local garden centre and after carefully reading the instructions on the backs of the seed packets I made my first attempt at growing my own plants. I made sure that I had purchased hardy plants so I had a good chance of proving the Mr wrong. After a week of so of tending to my little pots I was pleased to see that I had seedlings, sprouting gloriously from their pot, still the Mr remained sceptical. They were growing strong and it was time to rehouse the flourishing plants into the large plant pots outside. I’m glad to say that they are coming on strong now. I even attempted planting a flower border which is now looking rather impressive for a gardening novice like me. Now that I know that I can do it, my next mission is to grow some herbs and vegetables. I have purchased a window box for the herbs and will have to utilise nanas garden again for the vegetables. After looking at ways to grow your own vegetables I am now quite confident that we could be feasting on our own home grown produce shortly.